This is the first year that I am not making Valentine's Day cards for the kids. 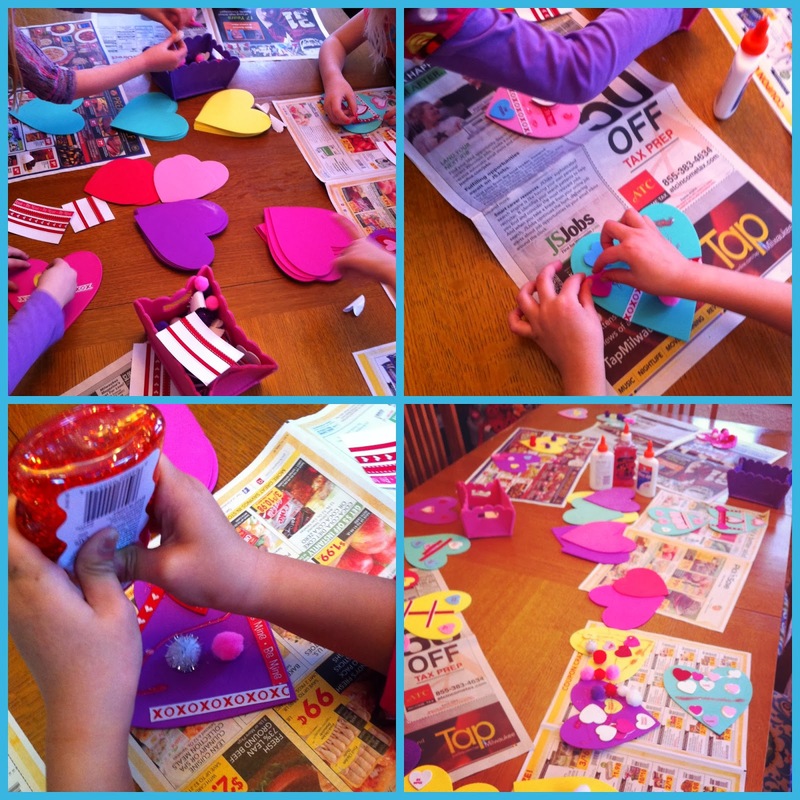 The girls' school is studying Valentine's Day and making traditional cards in class...fair enough. Jack is apparently too old now (what the heck? )...not cool. 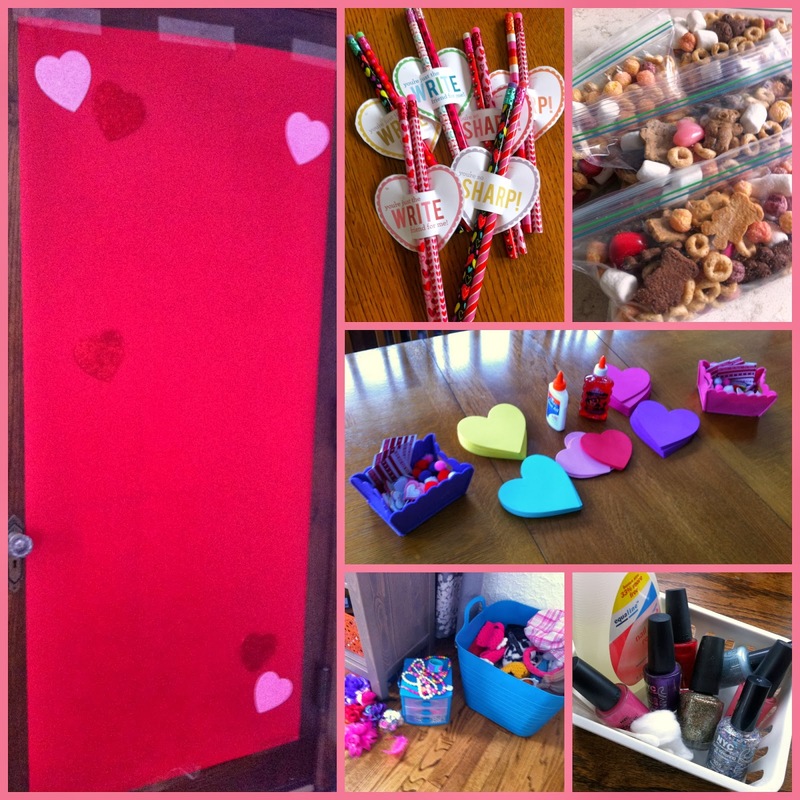 So, this Mom had to do some Valentine's Day fun, so I asked some of EJ's friends to come over for a play date. They took some of them home and added (at least) one to our photo booth backdrop. Then they got dressed up and I took lots of snapshots of them...singles, buddies and a big group pic. However, since they are not my children, I'll just show you one of my girls. After all that structured play, I let them loose on our playroom (because isn't half the fun of a playdate getting to play with someone else's toys) and then pulled them back in for a snack and a movie before it was time to go. I definitely got my Valentine's Day fix! I'm not always best about play dates (my Type A self likes things a little calmer and orderly), so I might as well go big when I do, right? I loved listening to the girls interact and all their different personalities and opinions. I also loved that they were so open and themselves. I love that their school encourages them to be individuals and respect each other...it definitely shows. And I really loved Olivia hanging with the big girls. She has no fear and I love watching her be one of the big girls with no hesitation. She is full of awesome (something we should all work on being).